Gothic is the only East Germanic language of which significant evidence survives, thanks largely to a single copy of Bishop Wulfila’s fourth-century translation of the Bible. As Gothic preserves a number of features and complexities lost in the modern Germanic languages, its study requires significant memorisation, which is where Liberation Philology Gothic can help. 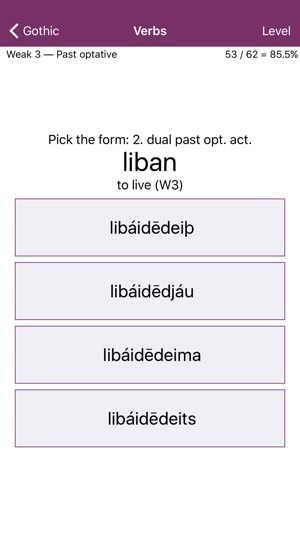 With Liberation Philology Gothic installed on your phone, you can instantly summon a continuous multiple-choice test to help you practise Gothic vocabulary and grammar. It immediately confirms or corrects each answer you give, and reinforces your knowledge by repetition. 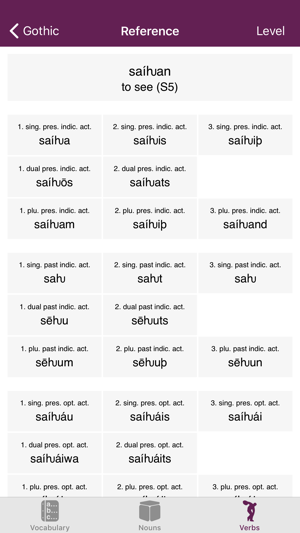 • Vocabulary: 160 levels, each testing the translation of 10 words between English and Gothic. Interspersed among these are cumulative levels reviewing what has been learned earlier (giving a total of 181 levels). 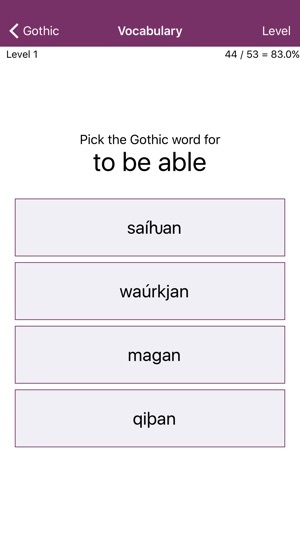 • Nouns: Tests your ability to parse and decline all types of Gothic nouns. 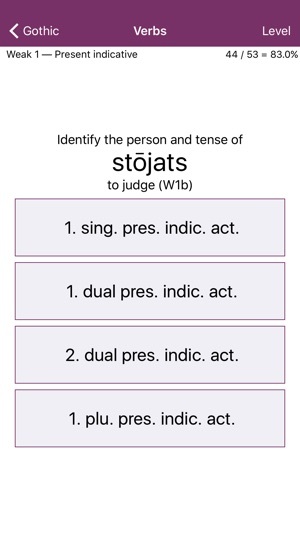 • Verbs: Tests your ability to parse and conjugate all classes of Gothic verbs. 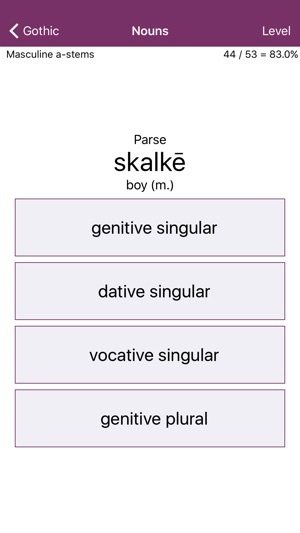 A further Reference module allows you to review the vocabulary word-list and the noun and verb paradigms. All Gothic words are written in the standard modern system of transliteration. Corrections in the Nouns and Verbs modules. Updated for the latest devices and systems.